Coffee is one of the world's most popular drinks, and its fans are also usually devoted to a certain method of brewing. Some love the Keurig, others the French press, and still others swear by cold brewing. 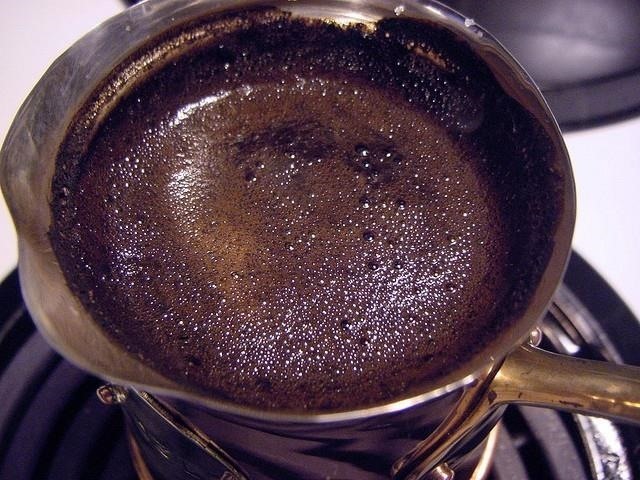 However, one of the oldest and easiest ways to brew coffee is also one of the best. 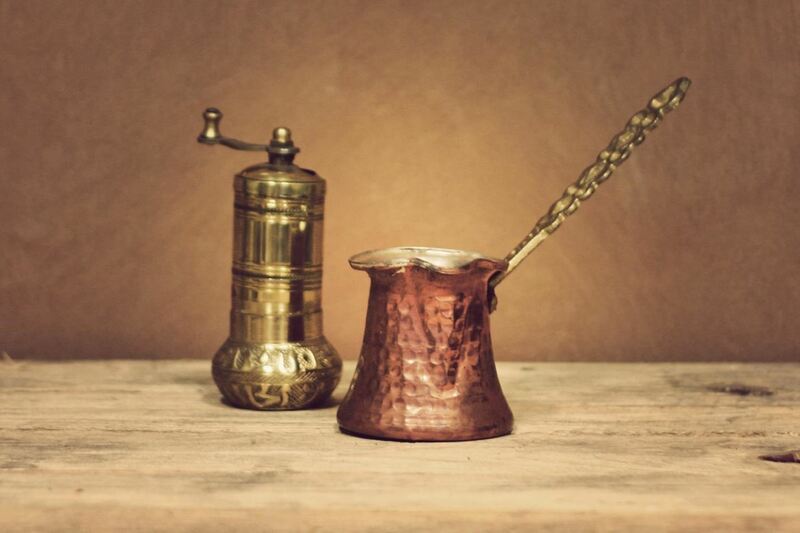 If you love coffee, you should really think about getting a Turkish ibrik (also known as a cezve). This long-handled pot has been the chosen method of brewing for large swathes of the globe for several centuries, and for good reason: there's no filter to clean, it's easy as hell, and the results taste great. Its closest cousin, to my mind, is a classic cup of Italian espresso, but Turkish coffee is a lot simpler to make. Just be sure to grind your coffee as fine as possible, until it's almost a powder. 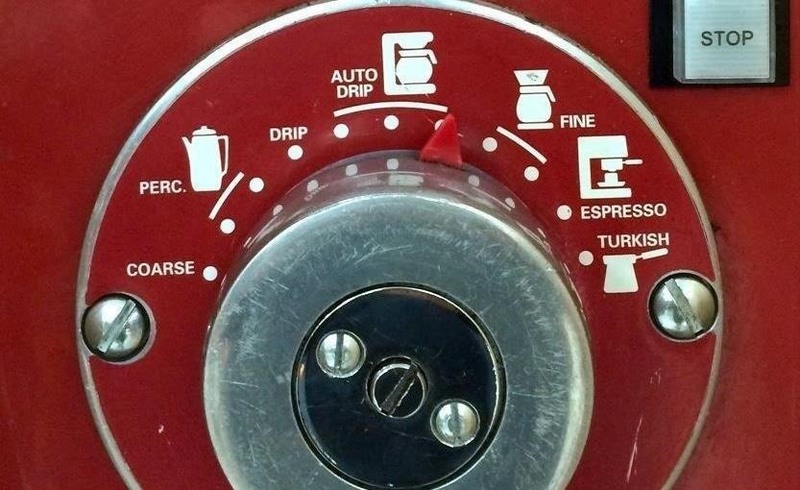 Most commercial store grinders will have a Turkish setting on them, actually. The proportions are: one to two teaspoons of coffee and about two ounces of water per person (if you like your coffee very strong, make it one tablespoon of coffee). Pour water into the ibrik and let it heat up. Add the coffee and sugar. Don't stir or it will clump. As the water heats, the coffee will begin to sink to the bottom and the sugar will melt. Stir the coffee at this point to incorporate all the ingredients. Turn the heat to low. Watch the coffee to ensure that it does not boil, although a thick, creamy foam/froth should appear on the top (similar to the layer of cream atop a good cup of espresso). Once the foam has appeared, serve the coffee in very small cups. Make sure everyone gets a little froth. Give the coffee about a minute or so to let the grounds settle to the bottom. Then sip and savor—this is a drink to be enjoyed, not gulped. The resulting brew is unbelievable: thick, creamy, and sweet, it tastes like a combination of coffee and dessert, with a clean, rich finish. You don't need milk or cream (traditionally, it's never added). Somehow the ibrik has distilled grounds, water, and sugar into the pure, sweet essence of coffee. Warning: if you're used to drip coffee, you will be surprised by the amount of grounds in your drink, but honestly, that's part of its charm. Want to get an ibrik? The traditional versions are usually copper-plated and lined with tin. You can also get a contemporary stainless steel version, too. 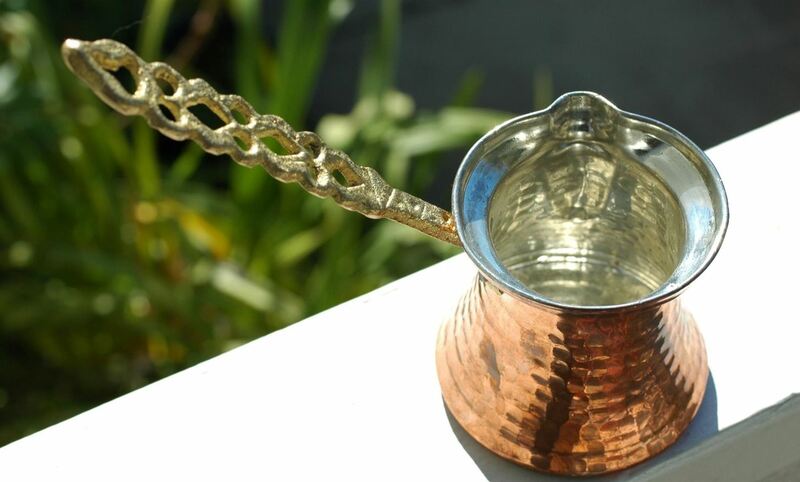 For step-by-step instructions on how to make Turkish coffee, check out Turkish Coffee World. Isn't it time you got a handheld espresso maker? Plus, if you're serious about grilling, you may want to invest in a Himalayan salt block. Those who love slow cookers will want a Moroccan tagine, while liquor aficionados should think about getting whisky stones.